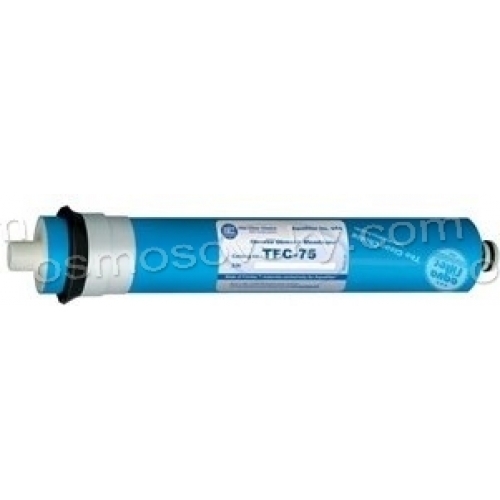 Osmotic membrane Aquafilter TFC-75F is recommended for reverse osmosis filters. Standard dimensions of the membrane can use it in most domestic reverse osmosis systems; Performance is the most popular (75 GPD or 285 gallons per day). For proper operation of the membrane system must be installed flow restrictor Aquafilter FR-420JG (about 0.42 liters / min). The membrane comprises a plurality of layers are wound onto a perforated mandrel situated inside. Osmotic membrane retains 96% -99% dissolved organic and inorganic pollutants, heavy metals and some bacteria and viruses larger size 0.001 micron; the pollutants are separated and discarded in drainage. Purified water passes through the holes in the central mandrel and pressure leaves the membrane. Membranes should not be used for microbiological contamination of unknown origin. 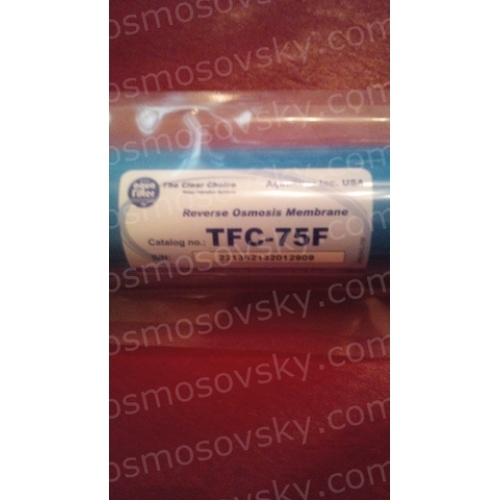 Buy a reverse osmosis membrane Aquafilter TFC-75F you can place your order on our website or contact us in any convenient way for you.